The dunes in this photo were recently spotted by Hi-RISE, a visible light and near-IR camera that’s been snapping stunning portraits of the Red Planet’s surface from its perch aboard NASA’s Mars Reconnaissance Orbiter since 2006. According to Veronica Bray, the Hi-RISE targeting specialist who analysed the image, dot and dash features like these have been spotted on Mars before. 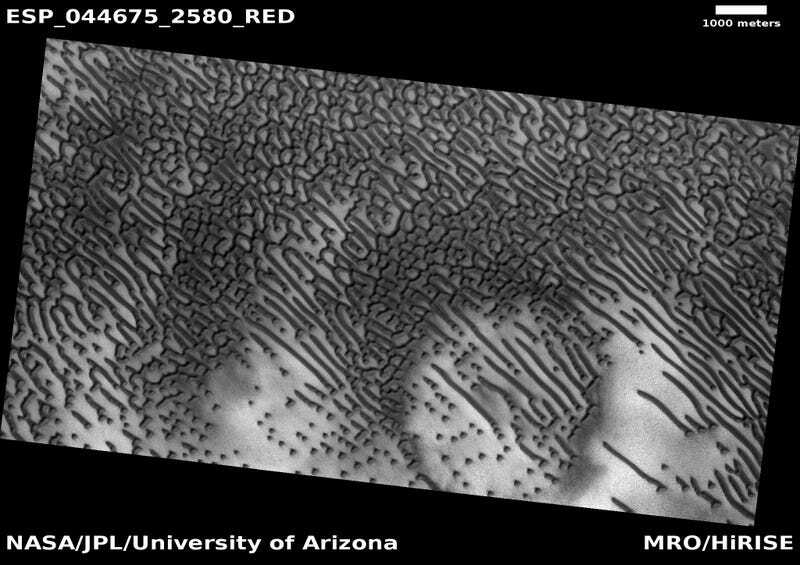 But in this photo of the Hagal Dune field just south of Mars’ north polar cap, the code-like pattern is especially clear due to unusual topography.